The new 2018 INFINITI Q50 appeals to every sense with its unmatched materials and exquisite attention to detail. 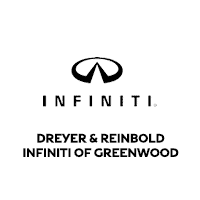 Find the latest INFINITI Q50 special in Greenwood, Indiana from Dreyer & Reinbold INFINITI South. We offer a great selection of the new INFINITI Q50 at the lowest prices. Our INFINITI inventory is updated constantly, so if you can’t find the new INFINITI Q50 you’re looking for, simply call or stop by our INFINITI dealership in Greenwood, Indiana and one of our expert team members will help you today! Be sure to check out our latest 2018 Q50 specials and come in for a test drive today!